We offer private home parties as well! We will work with you to select or design a painting for your group, and we bring all of the supplies and clean up. All you need to do is secure the location (your home, office, or favorite location) and invite your friends. We’ll create a dedicated link for each party so guests know for sure they’ve got the right one! Please note that locations outside of Grand Island do require a minimum number of attendees. Contact us at besociallyinspired@gmail.com for questions! Contact us to get your party listed here! Diane & Michele’s party – March 10th: Guests painted the cherry blossom tree. Dawn Hinkson’s party – December 22nd: Guests will be painting the winter farm scene! Cassie Mitchell’s party – November 16th: Guests painted the set of wooden Christmas trees. Amy Danielson’s party – Oct 6th: Guests painted the fall swirl tree. Amy Danielson’s party – May 5th: Guests painted cone flowers. 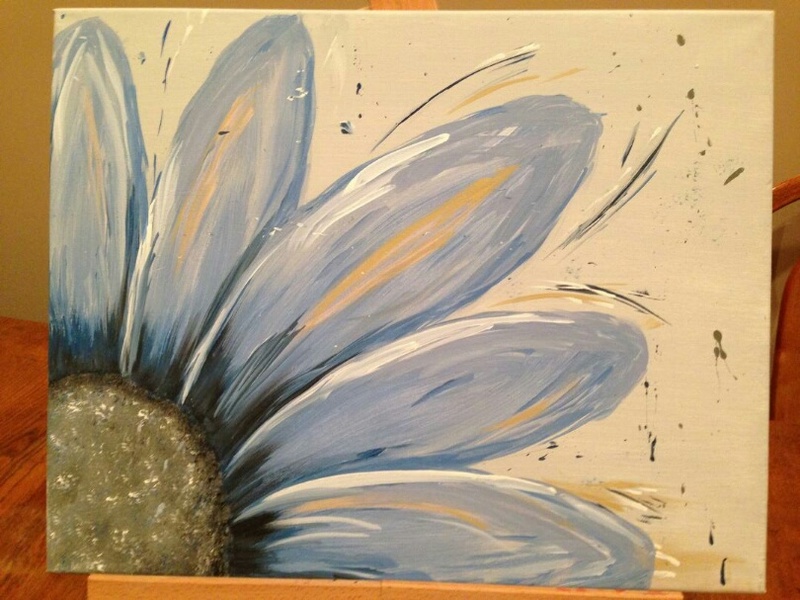 Amber Winter’s party – March 24th: Guests painted the blue daisy. Morgan Johnson’s party – March 25th: Guests painted the wooden flower jar sign. Gibbon Teachers party – January 13th: Guests painted the winter moon. Howard County Medical Center party – December 14th: guests painted the reindeer design. Melissa’s home party – Nov 18: guests painted Mr. Snowman. Karen Wagner-Ruzicka’s party – August 8th: guests painted dandelions. DPT party – January 30th: guests painted the rainbow tree design. Kaitlyn Baumgardner’s party – January 23: guests painted these fun wood signs! Shelly Dankert’s party – December 23rd: Guests painted Mr. Snowman. Ritz’s party – December 6th: Guests painted the wooden heart design. 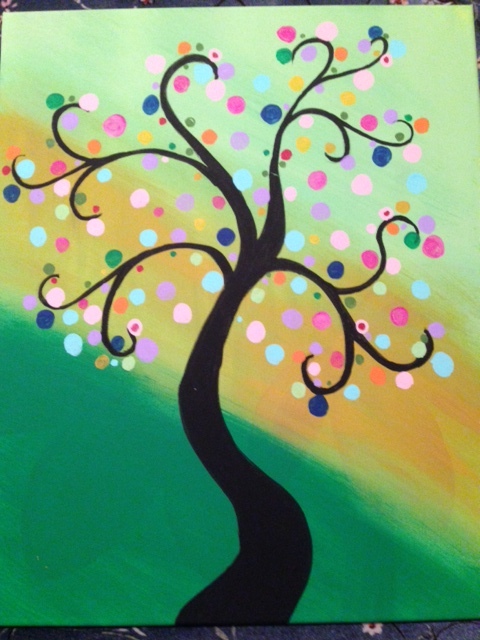 Cara Smydra’s party – October 25th: Guests painted the whimsical tree design. Asia Obermiller’s party – August 15th: Guests painted the blue daisy. 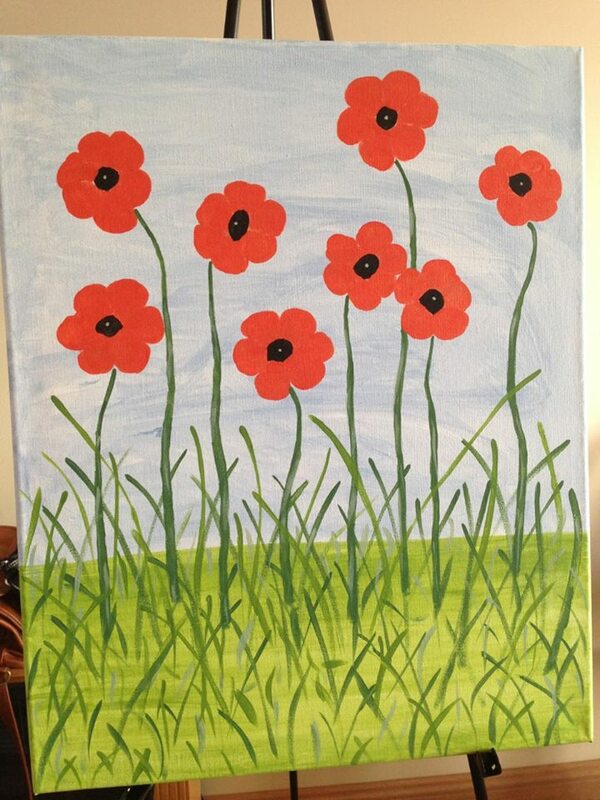 Amy Reiss-Otto’s party – August 24th: Guests painted poppies! Christina Andrew’s party – August 8th: Guests painted this cone flower design for a bachelorette party. 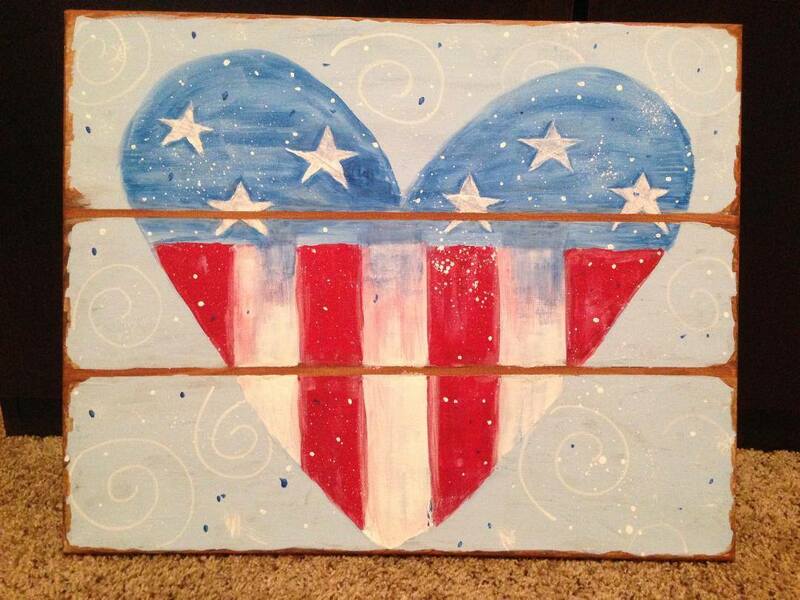 Jamie Roesler’s party – July 31st: Guests painted this patriotic heart design for a surprise birthday party! Doris Winkler’s party: Guests painted the patroitic heart design in preperation for the 4th of July! 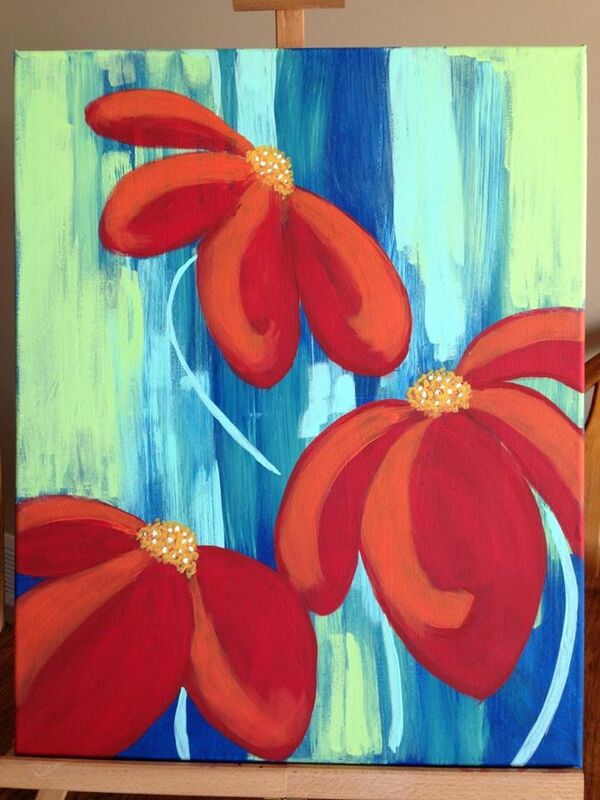 Michelle Polski’s party – June 12th: Guests painted the cone flower design celebrating a bachelorette party. Jennifer Lani’s party – May 22nd: Guests painted this gorgeous horse design! Diane Riedy’s party – May 16th: Guests painted our popular cone flowers design! 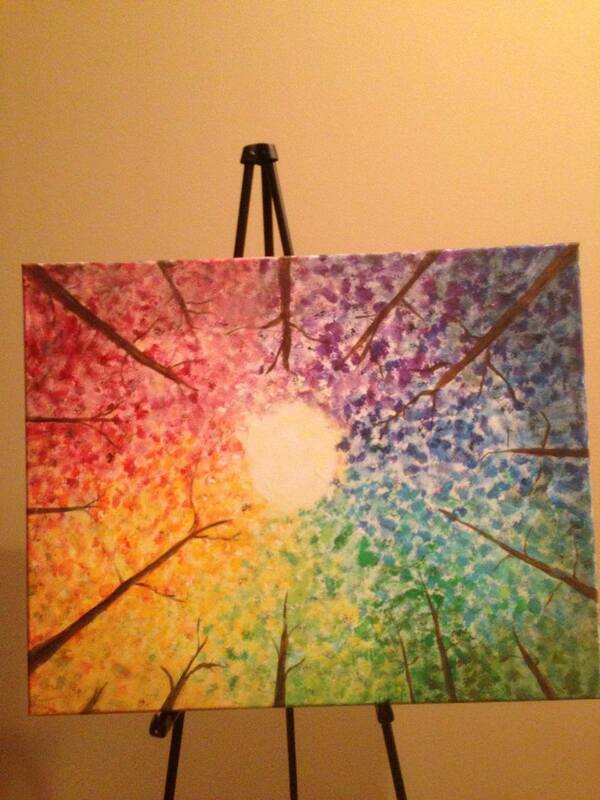 Marissa Wolfe’s party – May 12th: Guests painted rainbow trees. Wood River Rural Schools – May 6th: Guests painted the Whimsical Spring Tree design too! Ravenna Gym and Spa – April 30th: Guests painted this Whimsical Spring tree design. Mariah Quiring’s party – March 28th: Guests had a great time celebrating and painting the daisy. Chris Cook’s party – February 27th: Guests had a blast painting cone flowers! 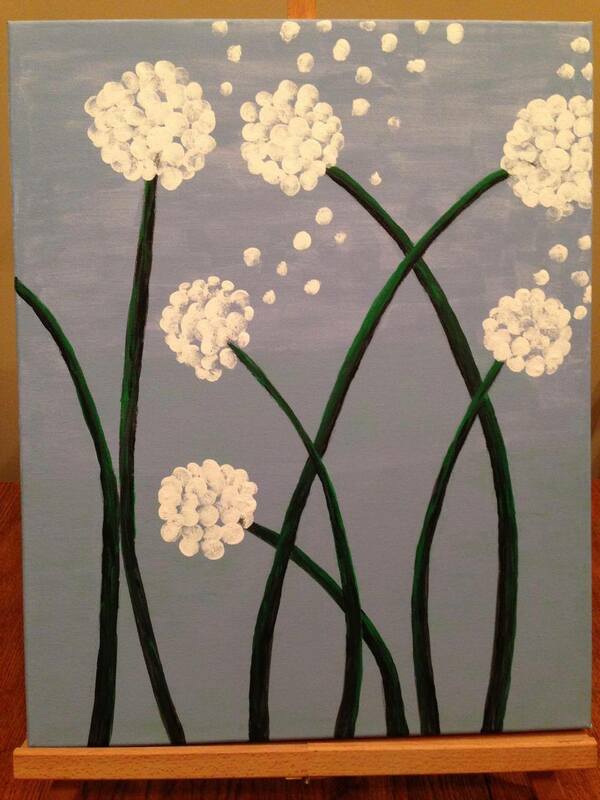 Centris Federal Credit Union party – February 4th: Guests painted our new Dandelion design! 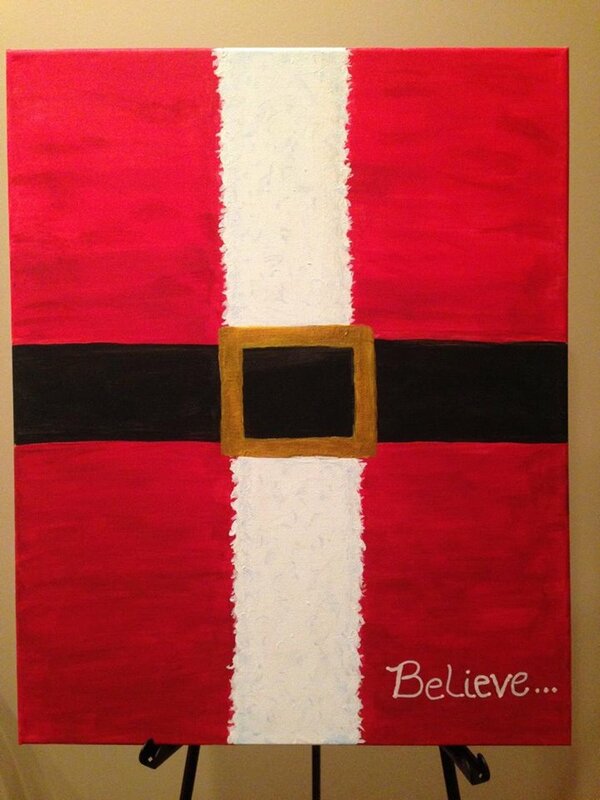 Katie Lewandowski’s party – December 6th: Katie’s guests had a great time painting the Believe design. Jordan Novotny’s party – October 26th: We had a great time painting a fall tree design! See our facebook page for pictures.